Let’s start off by saying that so far, my first day is going better than Tour de France. 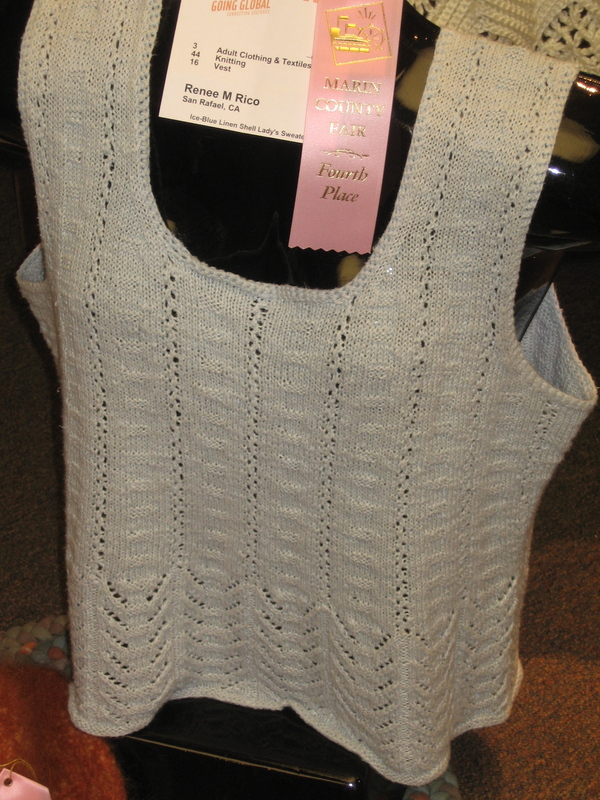 And I have finished my linen tank of my own devising – stay tuned! but then I heard from our team leader we might be going for white plain wool. Yeah- quite a view from their house. This is a small valley outside Bozeman, called Bridger Canyon, named after a guy Bridger who helped to create the city (but sadly died in Missouri, where he moved after he developed some sight problems). It was my first time flying Alaska Airlines, and that was more fun than the usual masses in a tight space experience. They don’t give you more space, but they make it a teeny-bit more enjoyable by offering complmentary wine or ale/beer on the flights. Sadly, I learned about this after my first set of flights, but since they were in the morning, probably that was best. As we landed in Bozeman, it became clear that we had some visitors from another country, a number of young Asian women, who turned out to be Chinese, and they said that they were coming to Bozeman to work for the Residence Inn on an “internship.” They were charming, had a bit of English, but I worried that their internship might just be a way for the hotel to have cheap labor for the summer. I kept my worries to myself, of course, and helped them find baggage claim. The first couple of days Carol showed me around the city – I got to go to the Museum of the Rockies (just go, they have an amazing collection on dinosaurs!). The museum shop has lovely items that are from local craft folk and some are made by the volunteers. I also really enjoyed the Living History House next door – they have a ton of volunteers who make it a real life living history place. Carol and I also went downtown for lunch and shopping one day, and had a lovely lunch at the Cateye Cafe. So yummy, and had the added benefit of making my cat decorations in my apartment seem meager in comparison. Friday began the big adventure of driving across the state to a Big Sky event – the Big Sky Fiber Festival – stay tuned for Part 2 of my adventures! This knittng surgeon is happy to repor that the patient is resting comfortably. Here’s how it went. With a circular needle, thread the circular into each stitch on the row below the stripe. This went uneventfully (sorry, no photo). Vaguely unsettling to see the sweater like this – almost like an amputation. 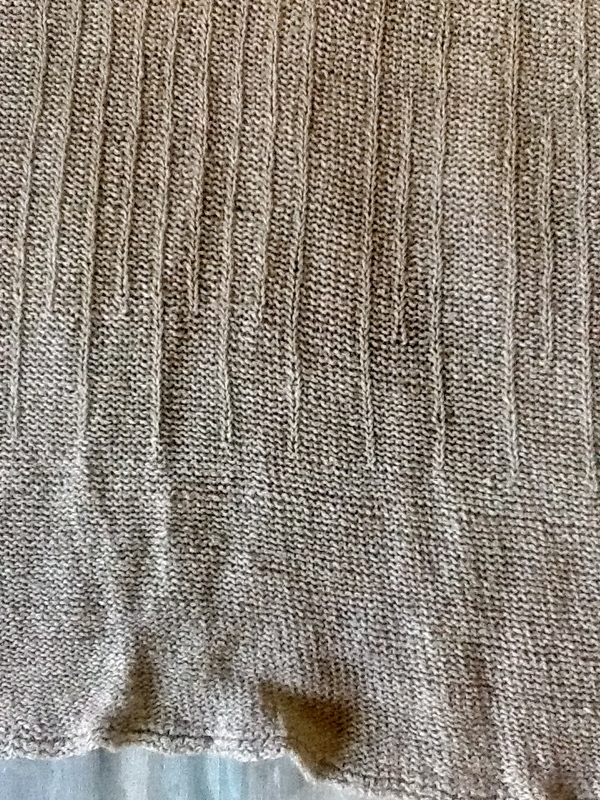 With the bottom of the sweater, knit the same number of rows as the stripe. 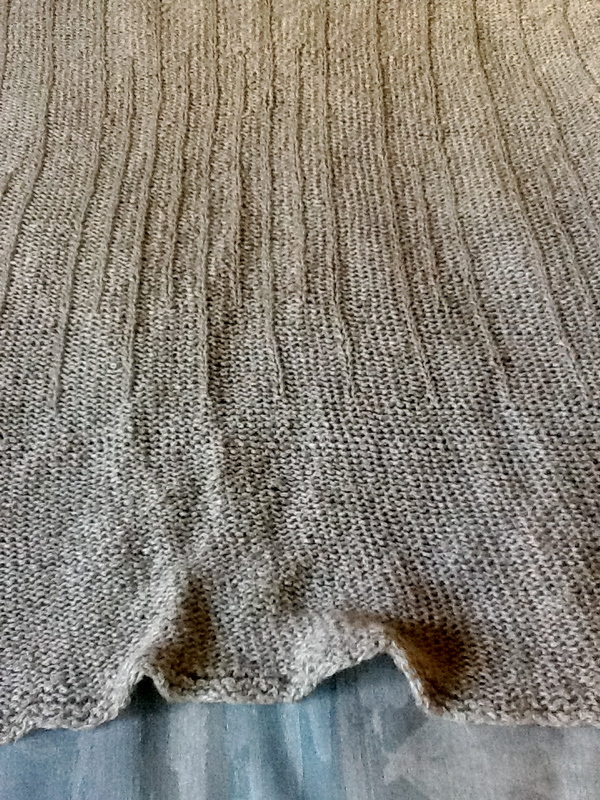 But queasiness aside, I moved on to knitting the fill-in inches of the body on the bottom part of the sweater. Do a three-needle bind off with the two pieces. Then I unraveled the old stripe with a “rip it” method. And the sweater? Pre-blocking it looks pretty good already. Patient is awaiting the weaving of ends and blocking. Summary: This was not as bad as I feared – and the outcome totally worth it!